The tech giant’s entry into the market could vastly accelerate such developments, the privacy advocates fear. [Their concern is that it would have] potentially dire consequences for minorities who they say are already arrested at disproportionate rates, immigrants who may be in the country illegally or political protesters. Amazon released Rekognition in late 2016, and the sheriff’s office in Washington County, west of Portland, became one of its first law enforcement agency customers. A year later, deputies were using it about 20 times per day — for example, to identify burglary suspects in store surveillance footage. Last month, [several months after acquiring Rekognition] the agency adopted policies governing its use, noting that officers in the field can use real-time face recognition to identify suspects who are unwilling or unable to provide their own ID, or if someone’s life is in danger. It cost the sheriff’s office just $400 to load 305,000 booking photos into the system and $6 per month in fees to continue the service, according to an email obtained by the ACLU under a public records request. 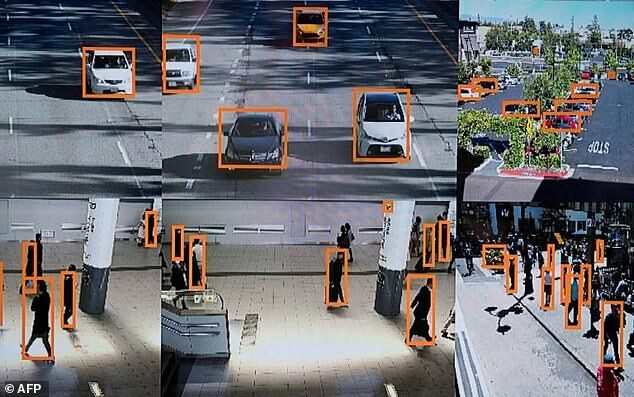 Facial recognition is used by many technology companies, but activists say Amazon’s system could lead to dangerous surveillance powers for law enforcement. Orlando has a network of public safety cameras, and in a presentation posted to YouTube this month , Ranju Das, who leads Amazon Rekognition, said Amazon would receive feeds from the cameras, search them against photos of people being sought by law enforcement and notify police of any hits. “It’s about recognizing people, it’s about tracking people, and then it’s about doing this in real time, so that the law enforcement officers … can be then alerted in real time to events that are happening,” he said. Amazon’s technology isn’t that different from what face recognition companies are already selling to law enforcement agencies. But its vast reach and its interest in recruiting more police departments to take part raise concerns, she said. “This raises very real questions about the ability to remain anonymous in public spaces,” Garvie said. From a report by Associated Press published at ABC News. Reprinted here for educational purposes only. May not be reproduced on other websites without permission from ABC News. New technologies are radically advancing our freedoms, but they are also enabling unparalleled invasions of privacy. National and international laws have yet to catch up with the evolving need for privacy that comes with new digital technologies. Respect for individuals' autonomy, anonymous speech, and the right to free association must be balanced against legitimate concerns like law enforcement. EFF fights in the courts and Congress to extend your privacy rights into the digital world, and works with partners around the globe to support the development of privacy-protecting technologies. Your cell phone helps you keep in touch with friends and family, but it also makes it easier for security agencies to track your location.